The STO offers a number of information tools on your mobile device. These tools have been developed to ensure you can always have the latest information, especially when you are on the go. Type m.sto.ca on your smart phone or cell phone (with Internet access) to be automatically directed to the STO's mini Web site. This tool has the most useful information for when you are on the go. 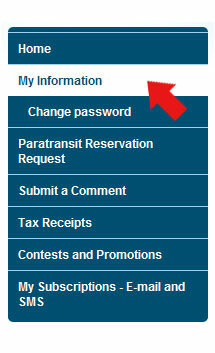 It will soon be possible to get personalized itineraries on the STO's mobile site. Consult the bus schedule for a specific route or bus stop. A geolocation option also makes it possible to find a departure and destination based on the rider's current location. Check the bus schedules for a specific date and route. A fast, easy way to plan your trips. Check System-Info alerts to be up to date on current detours or any other details affecting your trip. Save your frequent searches on the mobile site and get the results even faster. 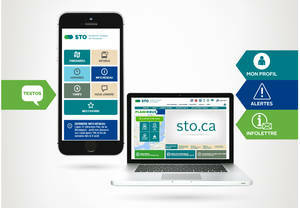 You can type m.sto.ca or sto.ca on your cell phone for direct access to the STO's mobile site. Do you prefer to browse the full site? Then simply select the link found at the bottom of all the pages at m.sto.ca. Create a shortcut (icon) to the mobile site on your home screen to access m.sto.ca even faster! The STO is at your fingertips… just type m.sto.ca on your cell phone and you're there! With text messaging, the information comes straight to you! Just text your bus stop number to 819778 and receive an SMS instantly telling you the time arrival time for the next 2 buses that will be passing for all the bus routes serving a stop. Trips marked with an asterisk (*) indicate the last trip of the day. 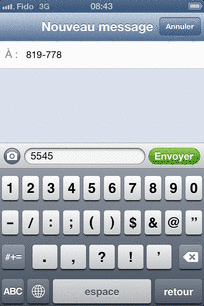 Add STO (# 819778) to your contacts to simplify your Infobus requests. Whether you choose to receive System-Info alerts by e-mail or text messaging, you can select your preferred routes to receive only the alerts that affect YOUR trips. Subscribe and personalize your alerts now in the My Profile section. Connect to My Profile or create a profile if you don't have one yet. 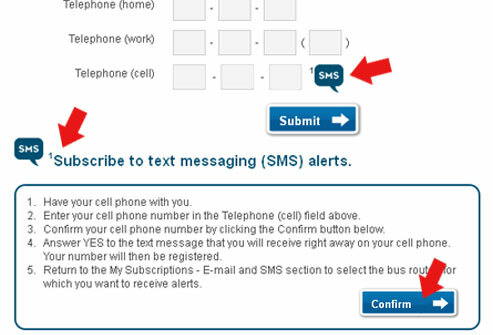 Complete the "Telephone (cell)" field and follow the steps at the bottom of the page to subscribe to SMS alerts! 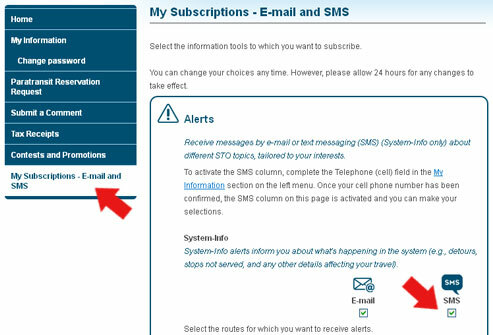 Once you have completed these steps, go to My Subscriptions – E-mail and SMS in your Profile and select the SMS box and bus routes for which you want to receive System-Info alerts. Remember to submit your request at the bottom of the page! You are now subscribed to receive System-Info alerts by SMS! The STO's mobile site and text messages are FREE information tools! These new information tools offered by the STO are free. However, standard rates may apply depending on your text messaging or Internet plans. We therefore recommend that you check with your cell phone provider to determine these details. Other information tools are always available to guide you on your trips. Learn about them and use them now!